From focusing on quality, clean ingredients to serving our food to you in a warm and welcoming environment, Panera Bread is committed to being an ally to our guests. That means crafting a menu of soups, salads and sandwiches that we are proud to feed our families. You don’t have to compromise to eat well. Whether you want to come in and enjoy a coffee and our complimentary Wi-Fi , or order online using Rapid Pick-Up so you can grab something quickly, Panera Bread Columbus is here with warmth and welcome. 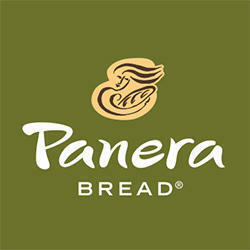 Panera Bread. Food as it should be.